The USA Freedom was formed in 2007 and has played in international matches against Canada’s Northern Lights, most recently in the 2013 49th Parallel Cup. The team also toured Australia in 2009 and played against women’s teams in Sydney, Melbourne, Country Victoria and Cairns. In the first ever International Cup Women’s Division at IC11 the USA Freedom finished third defeating the PNG Flames twice and Australian IM team. This time around the USAFL chose to send a second "development" team to Australia to play against some Australian women's teams. They are known as the Liberty. As the International Cup approached and some of the original teams (NZ, Europe and PNG) pulled out a decision was made that the Liberty would also play in the International Cup. 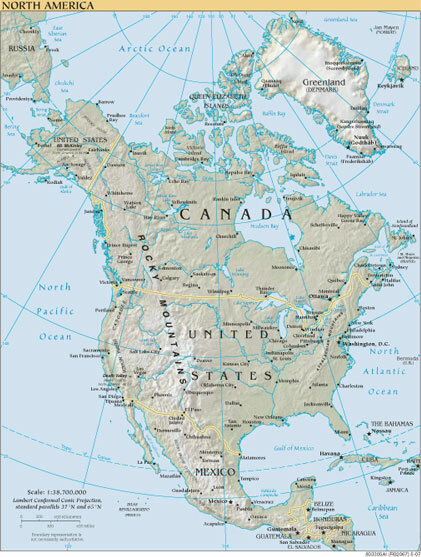 The United States of America is comprised of 48 states in central North America, Alaska to the north west of Canada, and the islands of Hawaii in the mid Pacific. Though the majority population are European descent and English is the official language, the USA is one of the world’s most ethnically diverse and multicultural nations. The area of the USA is 9.83 million square kilometres and with a population of over 300 million it is the world’s third largest country by size and population. The population density of the USA is 33.7 per square kilometre, which when compared to Canada’s 3.41 per square kilometre, explains why minority sports such as Australian football are much more popular and widespread in the USA. However, popularity does not always transfer talent, as the USA Freedom was defeated at IC11 by Canadian rivals the Northern Lights and tournament winners the Irish Banshees. With women’s football increasing in popularity those three countries in particular, we expect fierce competition when those teams clash. Prominent symbols of the USA include the Bald Eagle, the Liberty Bell, and the Statue of Liberty- the design used on the USA Freedom’s geurnsey. The Statue of Liberty was gifted to the Americans by the French to celebrate the Declaration of Independence. The statue is of the Roman goddess of freedom, Libertas. The USA declared independence from the British on the 4th of July, 1776, and that date is celebrated every year as “Independence Day”, a major national holiday. The USA’s national sport is baseball, though the most popular sport is American Football. Basketball and ice hockey are also leading professional sports. Soccer is also played widely at youth and amateur level. Eight summer and winter Olympic Games have taken place in the USA and the country has won the most summer Olympic medals and the second most winter Olympic medals. Women’s football in the USA dates back to 2003 when a group of female players got together for an exhibition match at the USAFL National Championships in Kansas City. Following the exhibition match, the Orange County Bombers formed a women’s team nicknamed the Bombshells and they played their first match in 2004 against an “All-Comers” team put together by US Footy kids director, Denis Ryan. Later on that year, after the Arizona Hawks formed their own women’s team, the Lady Hawks, another exhibition match was played at the 2004 USAFL National Championships in Atlanta. The publicity attracted enough players for the Atlanta Kookaburras to form the Lady Kookaburras team, and with the beginnings of women’s football spreading nationwide, in 2005 the first ever USAFL Women’s National Championships was held, between the Arizona Lady Hawks, the Atlanta Lady Kookaburras, and a “Fusion” team of players from Milwaukee, Florida, Washington DC, Seattle, Nashville and Toronto, Canada. After a hard fought final between the Kookaburras and the Fusion team, the Kookaburras managed to win the first ever Women’s National Championships. Over 2006 with the number of female players increasing, a new team was formed in Milwaukee, the Lady Bombers. The women’s game adopted a new slogan - “Chicks play footy too” and the rules of the women’s game were also changed from the “wrap up” rule to full tackling, the same as in the men’s game. The Atlanta Kookaburras once again won the Women’s National Championships, and remained champions of the USAFL Women’s Division until their defeat in the 2011 Denver National Championships at the hands of Canadian invitees, Calgary Kookaburras. The first women’s national team was formed in 2007 for an exhibition match at the 49th Parallel Cup between the men’s teams USA Revolution and Canadian Northwind. The women’s national team was called the Freedom, and they defeated their opponents, the Canadian Northern Lights in the first ever international women’s football match. The number of women’s teams has grown steadily since then, with teams from New York, Denver, Sacramento, Minnesota, Baltimore, Columbus, Boston, San Francisco and Florida joining the Women’s Division to form today’s USAFL Women’s Division. The teams travel long distances across America to play in matches alongside their counterparts in the men’s teams. Though the number of female players is increasing, some of the teams are unable to field full squads so often a couple of teams will get together to form two sides. The USA teams typically play a modified game of Aussie Rules called “Metro Footy”. This is played on rugby or soccer fields as there were few grounds suitable for traditional Australian Football, and the smaller ground allows the smaller sized teams (typically 9-a-side) to enjoy competitive and exciting games. Full 18-a-side games are played at the USAFL National Championships. The USA Freedom will be led by an experienced coaching team. Head Coach Leigh Barnes has played and coached football in Brisbane for 15 years, and his assistant, Milli Bruce, played in the VWFL from 2005 until her move to San Francisco in 2010. We are taking 17 new players in the IC14 from 2011 and 36 new players in the overall squad, what a fantastic effort by all the players concerned. We have 14 returning players which is a great feat as well,” stated Leigh Barnes, head coach of the Freedom and Liberty squads. Though the popularity of women’s football is increasing across the USA, the huge travelling distances involved make it difficult for teams to play each other on a regular basis. The American girls have good skills and are used to playing alongside women from different teams in the Metro Footy games, but this may not translate so well to the 18-a-side format. They know the potential of Ireland and Canada from IC11 and will be planning on how to overthrow those two. If the two US teams take each other on later in the tournament it could be a real highlight and show the real strength of the women's game in the USA. Judith Stein (Baltimore-Washington Lady Eagles) is an experienced player and her leadership skills are exceptional. In IC11 she led the team with distinction. She has been with the Freedom since their first game against the Canadian Northern Lights in 2007 and her knowledge and talent will be a great example once again for the less experienced players. Becky Kraft (Minnesota Freeze) Becky is in her fifth year of footy and is known to dominate games. She was named at centre half back in the IC11 World Team and is Vice Captain of the Freedom. Drea Casillas (New York Lady Magpies) is another experienced player who took up football with the Arizona Lady Hawks in 2005 before becoming the co-founder and captain of the Lady Magpies in 2008. She toured with the Freedom in 2009 and also took part in the 49th Parallel Cup on a number of occaisions. The game that would could decide how far the Freedom to make the Grand Final is the very first game against the Canada Northern Lights teamDon't underestimate the Freedom this International Cup. As for the Liberty, they can also be a force in the International Cup as well as there is not a big drop off from one team to the other. Don't be surprised if both the Freedom and Liberty teams make the top 4.